In the 80s and 90s, if you ever heard of a celebrity or a public figure having beats augmentation or a nose job, you would have thought they were incredibly strange. These days however, it seems that just about everyone has had some form of body augmentation and this is no longer a procedure which is frowned upon by the general public. I went to the Sono Bello clinic last month for some laser liposuction and I was having a chat to the nurse whilst I was there about why so any people seem to be getting cosmetic surgery. If you have been wondering the same, here are the findings which I have made. One of the biggest reasons why cosmetic surgery is no longer something that is solely for the rich and famous of this world, is that costs have come down dramatically. For example, a breast augmentation surgery would have cost between $15,000 – $20,000 back in the 90s whereas these days the same procedure can cost just $4,000. 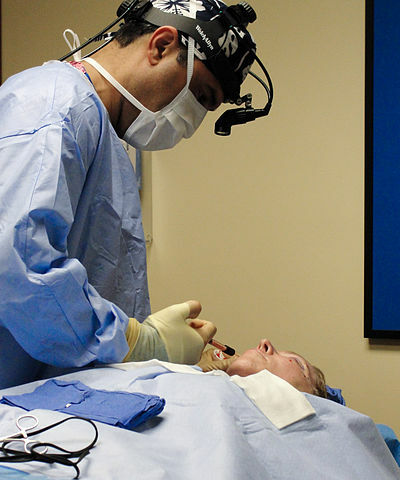 There are many factors as to why the price has come down, to begin with there are more people conducting these surgeries, there are also more technology available at a far cheaper price. The general opinion towards cosmetic surgery has changed dramatically and the newer generations which have come through have not deemed it to be the strange and weird practice that many once did. This change in opinion has left the field open to people of all ages and from all backgrounds, to elect for cosmetic treatments surgery without worrying about any stigma that may be attached to it. As people have become more accepting of these kind of treatments, more and more are choosing to alter their bodies. This is another reason why not only more people are deciding to have cosmetic surgery, but also why the prices for treatments have come down. This is a little bit of chicken and egg as to whether there are more surgeons because of demand, or visa versa. What we do know is that almost every city on the planet has somewhere that people can go to in order to have their treatments done. These treatments are now accessible to just about everyone and that has helped to promote it to a wider range of people. Finally we come to one of the biggest reasons why more people choose to have cosmetic surgery, social pressure. Whether we like it or not we live in a world where there is a strong desire to keep up with whatever is hot and cosmetic surgery is often something that is very much in fashion. In my view, trying to look like Kim Kardashian is never a good reason to have your body altered but it is the unfortunate truth of the world in which we live and this has helped to drastically increase the number of people who want to have cosmetic surgery.